These wallet-friendly wood hoops are great for embroidery, needle art, fabric painting, quilting, and more. 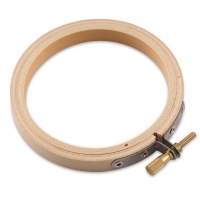 Their L brackets allow you to work with any fabric thickness, and the hoops provide even tension on all fabric edges. 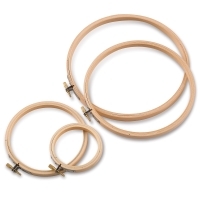 Perfect in a classroom setting, Darice Wooden Embroidery Hoops are available in a range of sizes. ® Darice is a registered trademark.